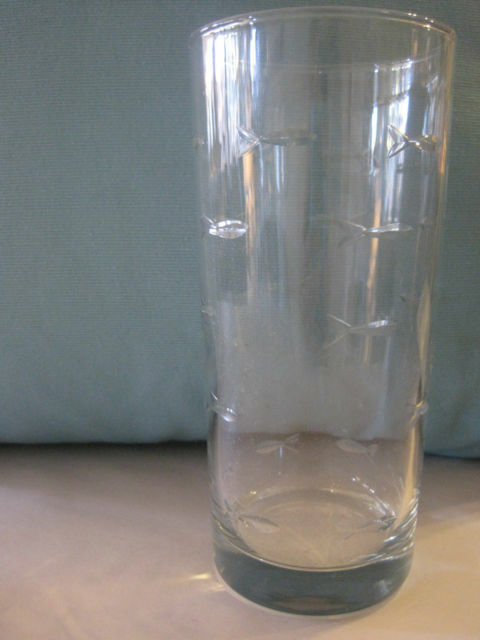 My beautiful etched fish water/cooler glasses are the perfect pieces to add to your barware collection! The etched fish collection offers a different seascape pattern on every shape giving each glass a distinctive charm. The clear glass is diamond-wheel engraved and dishwasher safe! It can hold up to 15 oz of your favorite drink. Looks great in a beach house or in any home you want to add some coastal charm! Makes a wonderful gift for the wedding couple, a housewarming gift, or any fish lover!